In 1986 Brenda Locke was a housewife living in Bothas Hill. She saw the poverty and unemployment in the community surrounding her in the Valley of 1000 Hills and she decided that she, an ordinary housewife was going to do something about it. She persuaded 3 women to attend a sewing class in a disused stable on her property and the following day 7 arrived, by the second week she had 60 women. She taught them everything from basic garment making on a sewing machine to embroidery, patchwork, weaving and dyeing. Her mission was to give needy people who have little chance of finding employment to means to earn a living to support themselves and their families. 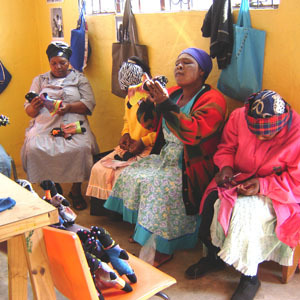 As a form of encouragement to the women who did not have a sewing machine, Brenda agreed to buy whatever they made by hand. Soon she had a stockpile of garments, cushion covers, place mats and bags. The next obvious step was to open a shop and in 1988 Embocraft a Non Profit Organisation was born. 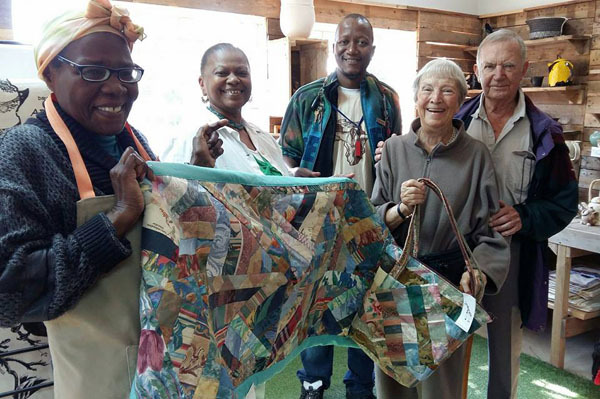 With funding she was able to set up a new workshop and showroom in Sugar Loaf Centre in Bothas Hill. A Trust was formed and stands today as Embocraft Training Centre Trust. 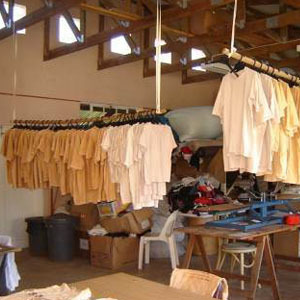 In 2001, Lions Clubs International Foundation sponsored the building of an additional 610 square metres of training facilities on the property. In 2008, the “E.Black Business Centre” sponsored by Emily Black an intern from Canada, was opened. Basic computer training and business skills are taught. Embocraft has a constant stream of requests from communities in need of skills training that requires a constant stream of donor funding. Corporate funding can assist us in meeting the needs of the community thereby assisting in job creation and employment.